At Bach to Baby, we believe that music should be shared by all, from babies to school children, from mums, dads, grans, to carers of all sorts. Come and join us for a true family concert this half term. Great news, up to 2 children come in for FREE with every adult entry! 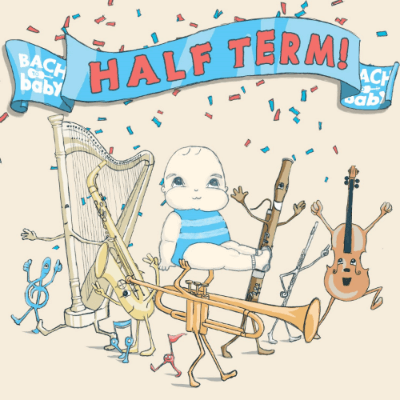 Find all Bach to Baby events over the half term below. Tickets can be booked by clicking on the specific concerts of your choice below.